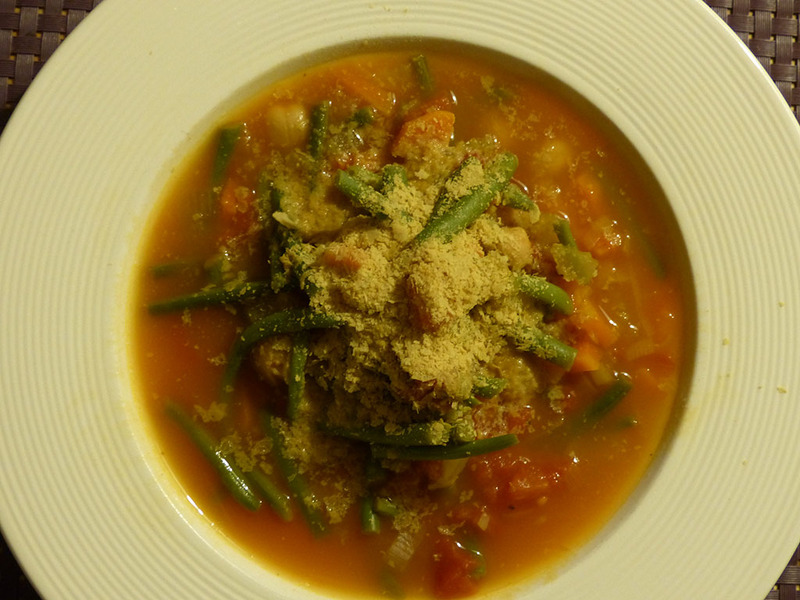 Try this easy-to-make vegan minestrone soup for your meat free day! Tinned green beans are seasonal as well. French beans are harvested in season and go straight into a tin for you to use later in the year. Fry the onion and garlic for around 4 minutes at medium heat. Add the chopped carrots and leek and fry for another 5 minutes at medium heat. Add the chopped tinned tomatoes, 1litre vegetable stock or bouillon, bay leaves and the canned chickpeas and cook for around 10 minutes. Add the tinned French/green beans and cook for another 5 minutes. Serve with Engevita nutritional flakes on top as replacement for parmesan cheese.